Probiotics are beneficial forms of gut bacteria that help stimulate the natural enzymes and processes that keep our digestive organs functioning properly. For these live bacteria to keep you healthy, you have to keep them healthy. There are two ways to do this, and I recommend a combination of both — take probiotic supplements and eat probiotic foods. You can also take probiotics that contain prebiotics. 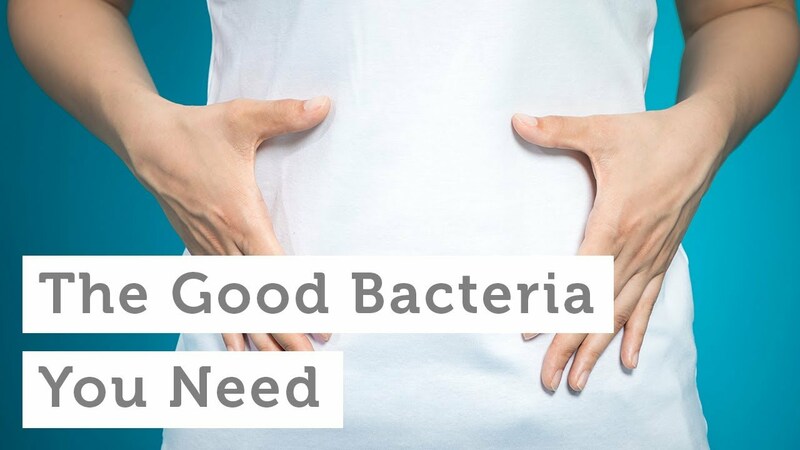 We all know the great health benefits of probiotics, however, not all of us know how to take advantage of these health benefits. Below is a list I put together to outline the best probiotic foods for you to add to your diet. I would also recommend buying the organic version of all these probiotic-rich foods. One of the best probiotic foods is live-cultured yogurt, especially handmade. Look for brands made from goat’s milk and infused with extra forms of probiotics like Lactobacillus or Acidophilus species. Goat’s milk is a rich source of proteins, vitamins, and minerals while having better digestibility and lower allergenicity than cow’s milk. Goat milk yogurt is particularly high in probiotics like S. thermophillus, Bifidus (Bifidobacterium), and Lactobacillus bulgaricus. Be sure to read the ingredients list, as not all yogurt is made equally. 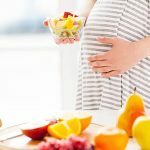 Many popular brands are filled with high fructose corn syrup, artificial sweeteners, and artificial flavors and are way too close to being a nutritional equivalent of sugary, fatty ice cream. Similar to yogurt, this fermented dairy product is a unique combination of goat's milk and fermented kefir grains. High in Lactobacillus and Bifidus bacteria, kefir is also rich in antioxidants. Look for a good, organic version at your local health food shop. 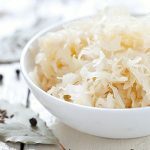 Made from fermented cabbage (and sometimes other vegetables), sauerkraut is not only extremely rich in healthy live cultures, but might also help with reducing allergy symptoms. Sauerkraut is also rich in vitamins A, B, C, and K.
Chocolate itself doesn’t contain probiotics, but it was found to be a very effective carrier for probiotics. Chocolate helps them survive the extreme pHs of the digestive tract to make it to the colon. Because of this protective ability probiotics can be added to high-quality dark chocolate. This is only one of the many health benefits of chocolate. Blue-green algae, or cyanobacteria, refer to superfood species such as Spirulina and Chlorella. While not probiotics, blue-green algae can act as a prebiotic, which means that they feed and nourish the probiotics already in your gut. 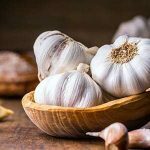 These prebiotic foods have been shown to increase beneficial bacteria and improve gastrointestinal health. Miso is one the mainstays of traditional Japanese medicine and is commonly used in macrobiotic cooking as a digestive regulator. Made from fermented rye, beans, rice or barley, adding a tablespoon of miso to some hot water makes an excellent, quick, probiotic-rich soup full of Lactobacillus and Bifidus bacteria. Beyond its important live cultures, miso is extremely nutrient-dense that helps neutralize the effects of environmental pollution, alkalinizes the body and counetracts the effects of carcinogens in the system. Believe it or not, the provincial pickle packs a punch of prime probiotics. In the U.S., the term “pickle” usually refers to pickled cucumbers specifically, but most vegetables can be pickled. All of them boast the same briny goodness and probiotic potential. A great substitute for meat or tofu, tempeh is a fermented, probiotic-rich grain usually made from soybeans, but it c an be made with chickpeas or other beans. A great source of vitamin B-12, this vegetarian food can be sauteed, baked or eaten crumbled on salads. If prepared correctly, tempeh is also very low in salt, which makes it an ideal choice for those on a low-sodium diet. An Asian form of pickled sauerkraut, kimchi is an extremely spicy and sour fermented cabbage, typically served alongside meals in Korea. Besides beneficial bacteria, Kimchi is also a great source of vitamin C, B vitamins, beta-carotene, calcium, iron, potassium, and dietary fiber. Kimchi is one of the best probiotic foods you can add to your diet, assuming you can handle the spice, of course. Kombucha is a form of fermented tea that contains a high amount of healthy gut bacteria. [12, 13] This probiotic drink has been used for centuries and is believed to help increase your energy, enhance your well-being and maybe even help you lose weight, especially if made with green tea. [14, 13] However, kombucha tea may not be the best fit for everyone, especially those that have had problems with Candida. For excellent digestive health, fill your diet with as many prebiotic and probiotic foods as possible. I additionally recommend taking a good probiotic supplement. I recommend Floratrex™, a unique formula of 23 probiotic strains that supports your digestive tract and boosts your immune system. 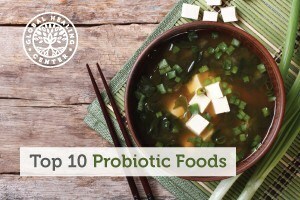 Do you have any favorite foods with probiotics that I may have missed? Leave a comment below! Damunupola DA, et al. "Evaluation of Quality Characteristics of Goat Milk Yogurt Incorporated with Beetroot Juice." International Journal of Scientific and Research Publications. Oct 2014;4(10):1-5. Prado MR, et al. "Milk Kefir: Composition, Microbial Cultures, Biological Activities, and Related Products." Frontiers in Microbiology. 2015;6:1177. Raak, Christa et al. "Regular Consumption of Sauerkraut and Its Effect on Human Health: A Bibliometric Analysis." Global Advances in Health and Medicine. Nov 2014;3(6):12-18. Possemiers S, et al. "Bacteria and Chocolate: A Successful Combination for Probiotic Delivery." International Journal of Food Microbiology. 2010;141(1-2):97-103. Patel S, Goyal A. "The Current Trends and Future Perspectives of Prebiotics Research: A Review." 3 Biotech. 2012;2(2):115-125. Fujisawa T, et al. "Effect of Miso Soup Containing Natto on the Composition and Metabolic Activity of the Human Faecal Flora." Microbial Ecology in Health & Disease. 2006;18(2):79-84. Watanabe H. "Beneficial Biological Effects of Miso with Reference to Radiation Injury, Cancer and Hypertension." Journal of Toxicologic Pathology. 2013;26(2):91-103. "Science of Pickles: The Race of Microorganisms." The Science of Cooking, Exploratorium: the museum of science, art and human perception. Accessed 3 Mar 2017. Kuligowski M, et al. "Evaluation of Bean and Soy Tempeh Influence on Intestinal Bacteria and Estimation of Antibacterial Properties of Bean Tempeh." Polish Journal of Microbiology. 2013;62(2):189-194. Areekul S, et al. 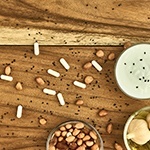 "The Source and Content of Vitamin B12 in the Tempehs." Journal of the Medical Association of Thailand (Chotmaihet Thangphaet). 1990;73(3):1521156. Peacock J. "Kimchi, the Korean Superfood." Eat Smart Move More, Virginia Polytechnic Institute and State University. Published 9 May 2014. Accessed 25 Mar 2019. "Understanding Kombucha." Cornell Extension Enology Lab, Cornell University. Published July 2012. Accessed 25 Mar 2019. Villarreal-Soto SA, et al. "Understanding Kombucha Tea Fermentation: A Review." J Food Sci. 2018 Mar;83(3):580-588. "Kombucha — Diet Supplement?" Go Ask Alice! Columbia University. Published Jan. 2015. Accessed 25 Mar 2019. Nagao T, et al. A green tea extract high in catechins reduces body fat and cardiovascular risks in humans." Obesity. 2007 Jun;15(6):1473-1483.